On 30 June 1958, Albany was placed out of commission at the Boston Naval Shipyard to begin conversion to a guided missile cruiser. 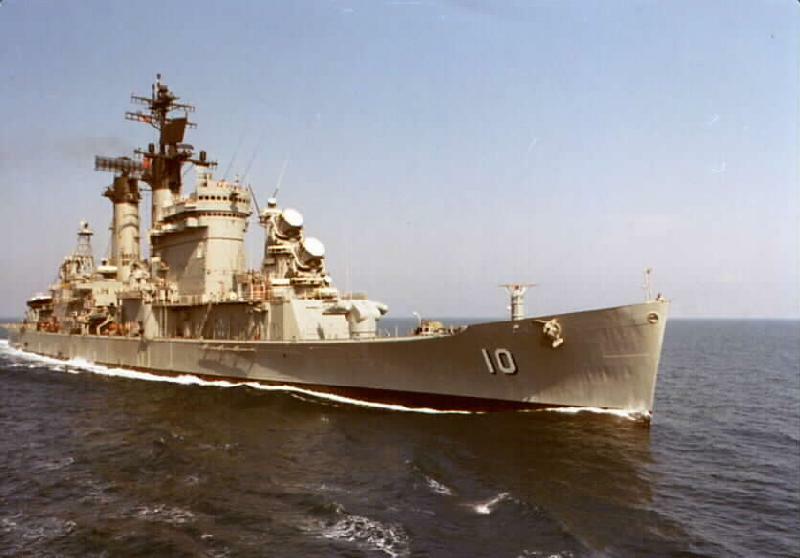 On 1 November 1958, she was redesignated CG-10. The warship spent the next four years at Boston undergoing very extensive modifications as part of the conversion. The ship was recommissioned at Boston on 3 November 1962, Captain Ben B. Pickett in command. For almost five years, she again alternated deployments to European waters – both to the Mediterranean Sea and to the North Atlantic – with operations along the east coast and in the West Indies. During that time, the cruiser visited many foreign ports and participated in a number of exercises with units of friendly navies. On 1 March 1967, she was decommissioned at the Boston Naval Shipyard once again to undergo extensive modifications. 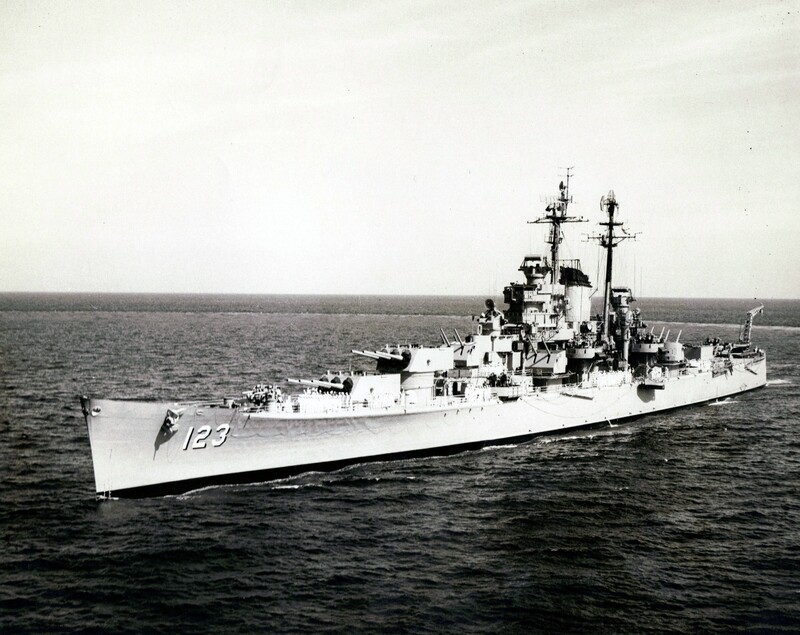 Some 20 months later, on 9 November 1968, the guided missile cruiser was placed back in commission at Boston, Captain Robert C. Peniston in command. 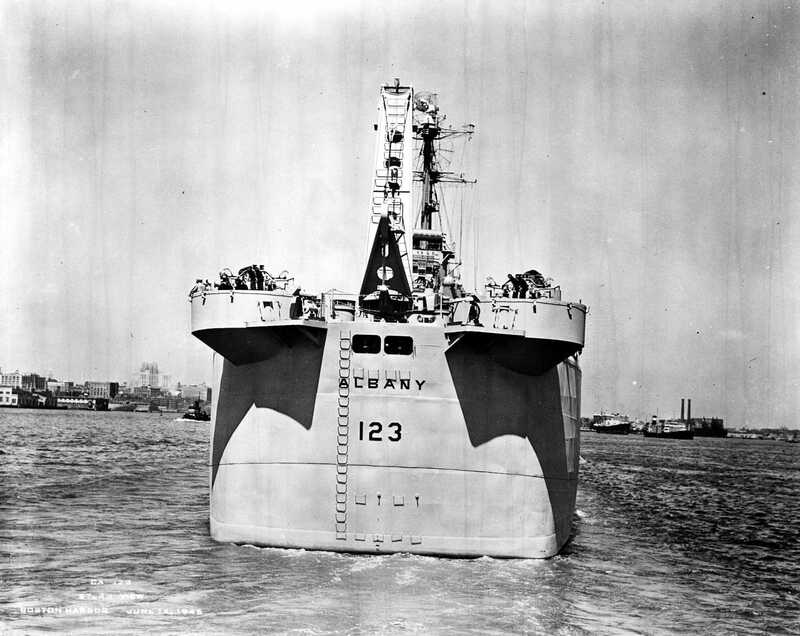 In 1973 the ship was again decommissioned for overhaul at the Philadelphia Naval Shipyard. It was recommissioned in May 1974 and homeported in Norfolk, VA under the command of Captain John J. Ekelund. Shortly thereafter it became the flagship of the 2nd Fleet. Stern view, underway on the Fore River, 14 June 1946, the day before commissioning. 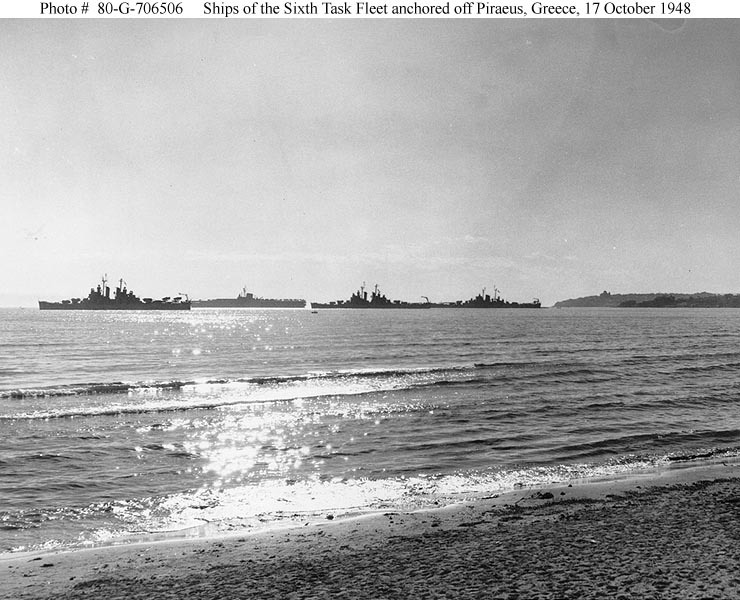 Ships of the U.S. Sixth Task Fleet, commanded by Vice Admiral Forrest P. Sherman, silhouetted by the evening sun while anchored in Phaleron Bay off Piraeus, Greece, 17 October 1948. The ships are (from left to right): USS Little Rock (CL 92); USS Franklin D. Roosevelt (CVB 42); USS Providence (CL 82); and USS Albany (CA 123). Port bow view while underway, on 14 JAN 1955.